Sign-up and receive Property Email Alerts of Residential Estates in Estate D' Afrique, Broederstroom. 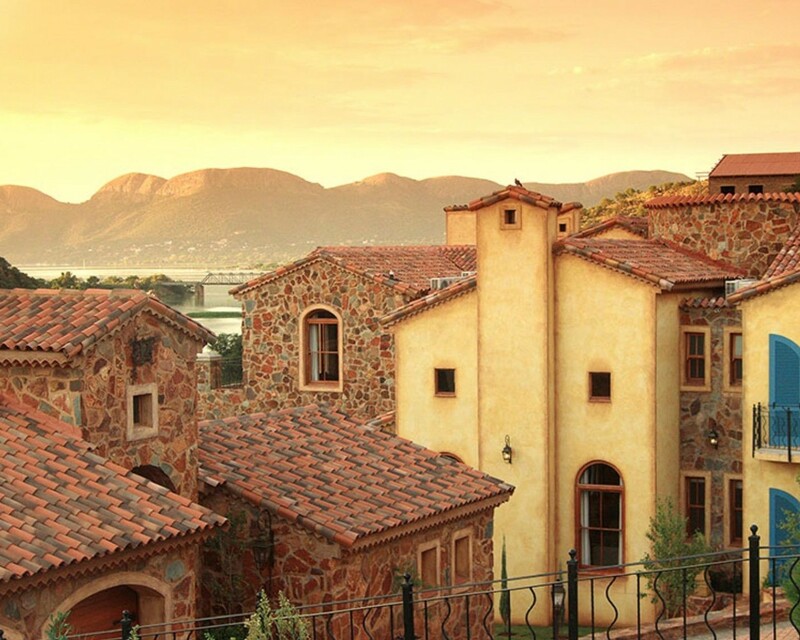 Estate d'Afrique is one of the most popular, upmarket and pristine developments in Broederstroom, set on the banks of the Crocodile River where it enters the Hartbeespoort Dam. Nestled in the hills of the Magaliesberg Mountains, the Estate provides a safe, secure and family-friendly environment with abundant fauna and flora. The Estate's location is only 40 minutes from both Johannesburg and Pretoria and only 10 minutes from Lanseria International Airport. Estate d'Afrique established in 2000 is still the most private and pristine development in the Hartbeespoort Dam area with its unique French Provencal-style of the small villages along the coastlines of France. The Estate offers 395 stands with the ultimate Estate living feel, with its scenic villas, private jetties, boathouses, indigenous natural rock, earthy colours and water features. Due to the Estates surroundings containing mountains, wetland, grassland and river eco-systems, the Estate has a wide variety of fauna and flora. Among the many types of wildlife roaming the Estate are Duikers, Baboons, Scrub Hares and Water Monitors. There are also over 443 bird species, which is almost half the total bird species of Southern Africa. The Estate provides 24/7 security patrols, armed response and access control.